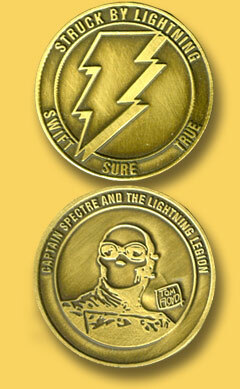 ALL THE ITEMS YOU NEED TO BE AN OFFICAL MEMBER OF THE LIGHTNING LEGION. 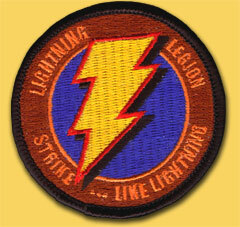 HEY KIDS...GET YOUR OFFICAL SEW-ON LEGION CLOTH PATCH !! AN EXACT COPY OF THE 1939 IMPERIAL HOTDOG RADIO GIVE-AWAY. 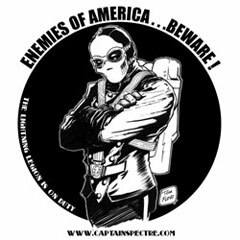 NEW MINTING OF THE OFFICAL 1939 SEAL OF CAPTAIN SPECTRE !! Here are some of the images available on the offical Lightning Legion shirt over at the new Lightning Legion Arsenal uniform shop. That's right Guys and Gals here are the offical items you need to be an active member of Captain Spectre's Lightning Legion. Just like the thousands of girls and boys back in 1939. 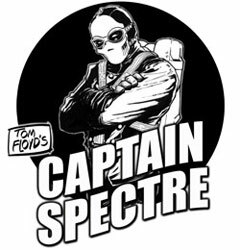 Captain Spectre has come to the Internet and you can be a high ranking member with these items. 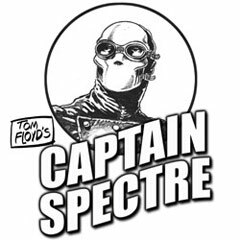 For a very low price you can have these fine items, and help support this version of the thrilling adventures of Captain Spectre and all his crew. Your hard earned money supports this new exciting webcomic by your donation. The money goes to pay for such things as server space, art supplies, and for new items to be added soon. Here it is !! The first introductory offer. Now you can own these two new nifty items- the great looking sew-on patch, and the new minting of the Offical Coin Seal of Captain Spectre for only $15.00 dollars. That includes free shipping to your home or business. 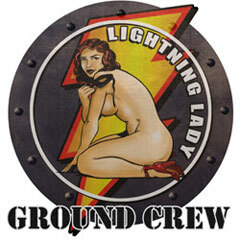 At this time we are only set up though PayPal, but if you would like to send a check or money order to the Lightning Legion headquarters, simply email the Captain through theCommunications Center. Other arrangements can always be made. The Legion is here to serve you, the new member. The Captain thanks you for your support.